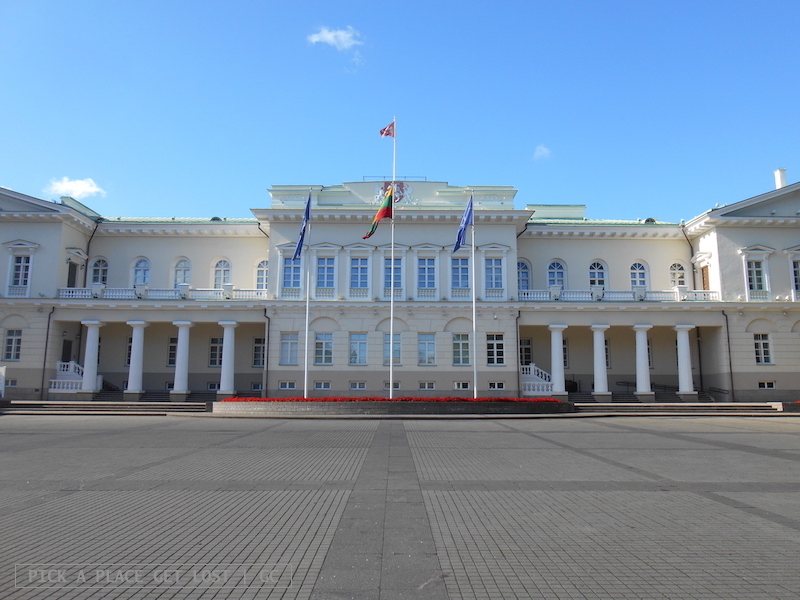 Day two in Vilnius consisted of a few extra sightseeing spots (namely, the Presidential Palace, Vilniaus gatve and Gedimino gatve) and the KGB Museum. The museum is a must-see if one wants to learn more about the 20th-century history of Lithuania. It depicts in plain, straightforward terms the sequence of invasions (Soviet-Nazi-Soviet) experienced by the Lithuanians between 1939 and 1990, while also displaying a wide variety of materials and documents from those days. 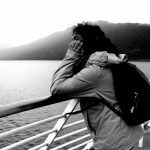 In the afternoon we resolved to head for the centre of Europe. And I mean, the actual geographical centre of the continent. Ok fair enough, technically we didn’t go to the very centre of the continent, but then, that one was quite hard to reach by public transport, so we chose to make do with Europos Parkas. 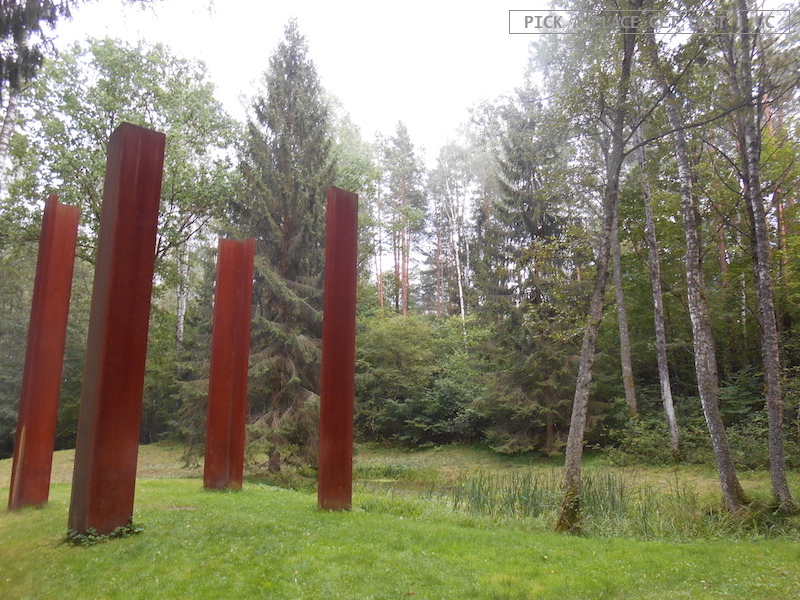 Europos Parkas is a sculpture park founded and designed by Lithuanian sculptor Gintanas Karosas and located around 16 km from the centre of Europe. With the kind contribution of bus 66 (whose stop in Žalgirio gatve is more difficult to find than it was the chamber of secrets for Harry Potter, Ron and Hermione), we managed to reach the park. The lovely elderly lady at the gate gave us a map and list of the works of art on display, after which we were free to wander about and enjoy the beauty of the woods, consisting entirely of pine and birch trees, plus the most diverse kinds of sculptures, installations and land art stuff. In the 90ish minutes we had to visit Europos Parkas we managed to see around 40 artworks (out of 98). Then we had to give in and return to the bus stop (we couldn’t miss the bus). But the visit was worth the effort. 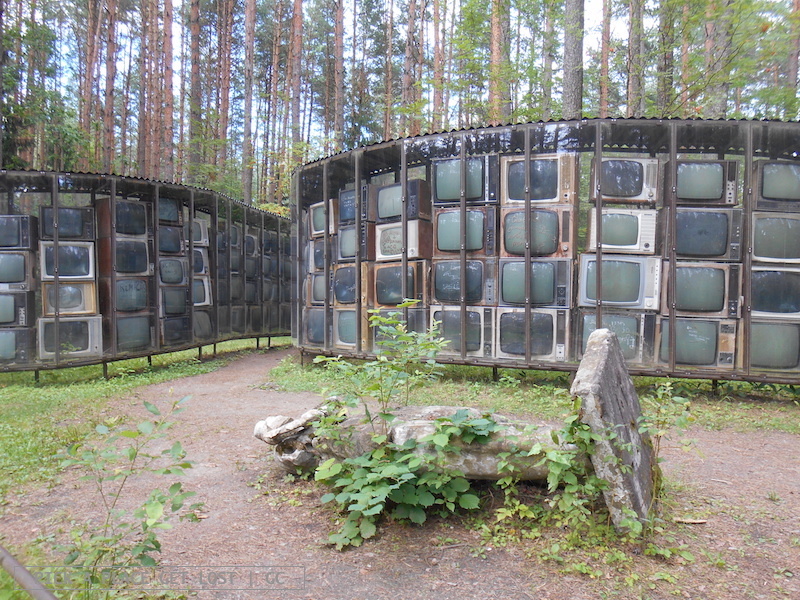 Europos Parkas is a beautiful open-air museum, and the installation with the Lenin statue and the TV sets undoubtedly one of my favourite spots. It’s also a way to talk about and contribute to the European project through art and culture, so it might be a powerful reminder that Europe can be and, in fact, still is a reality, after all. 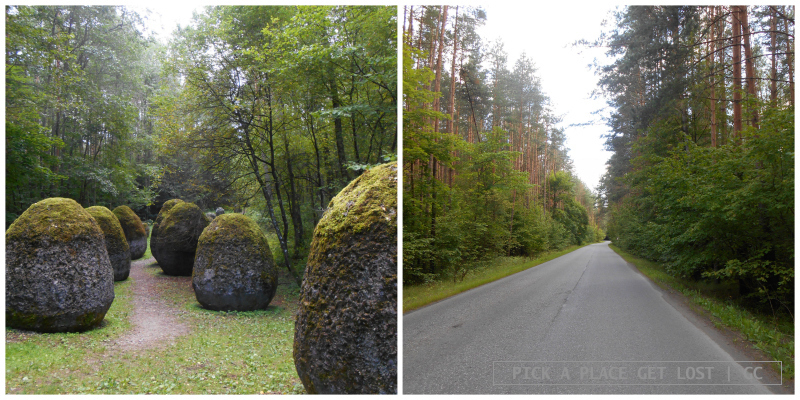 I feel quite ashamed I’d never even heard of Europos Parkas before going to Lithuania. I’m dubious, though, whether it’s my fault or the park is in fact something not that many people know about. In the heart of the park there are also a restaurant and a shop (neither of which we were able to see properly, as there was a wedding reception still on and the building was colonised by guests), so you can enjoy a good meal halfway through your visit. Too bad the park is the opposite of well served by public transport. But at least you know that bus 66 takes you (almost) there (once you’ve found the bus stop). 1. Take bus 66 from Žalgirio and get off at the final stop, which is around 1km from the park entrance – but don’t worry, keep an eye out of the window before the final stop, and you’ll see the brown sign of the park, so you know which way to go as you get off the bus. 2. Make sure you have a few hours, if not an entire afternoon to spend in Europos Parkas: the bus ride is quite long, and you probably want to have a pleasant stroll around, not run back and forth from one sculpture to the next because you want to see as much as possible but only have one hour to do so before returning to the bus stop before it gets dark – needless to say, there are no street lights and, needless to say, what I described was exactly how we visited the park. 3. Some guides (e.g. 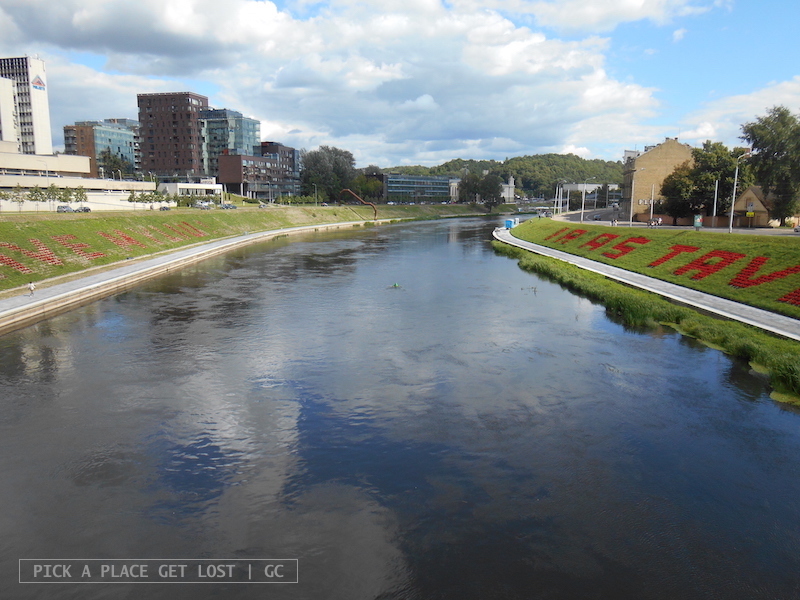 Vilnius in your pocket) declare that the park is located 10 km from the city centre. 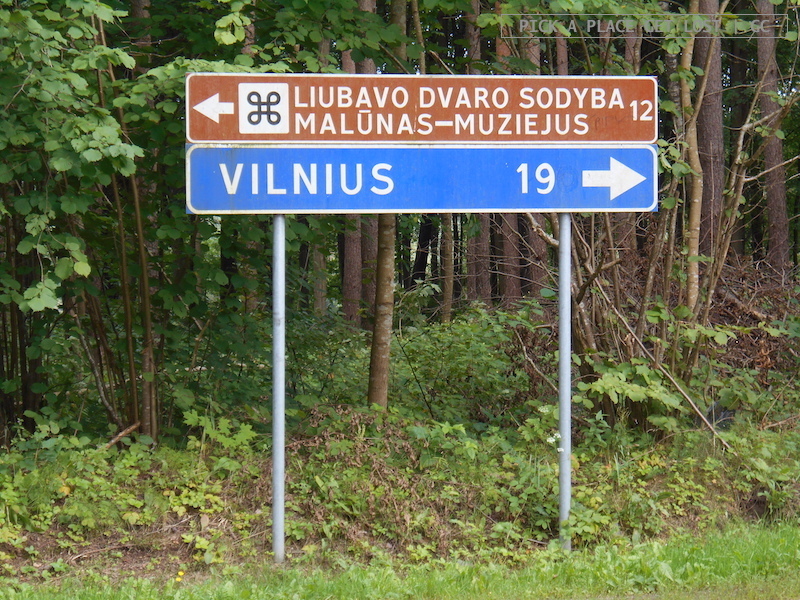 Except, the street sign near the park says ‘Vilnius – 19’, so you should expect the bus journey to take between 45 to 50 minutes. 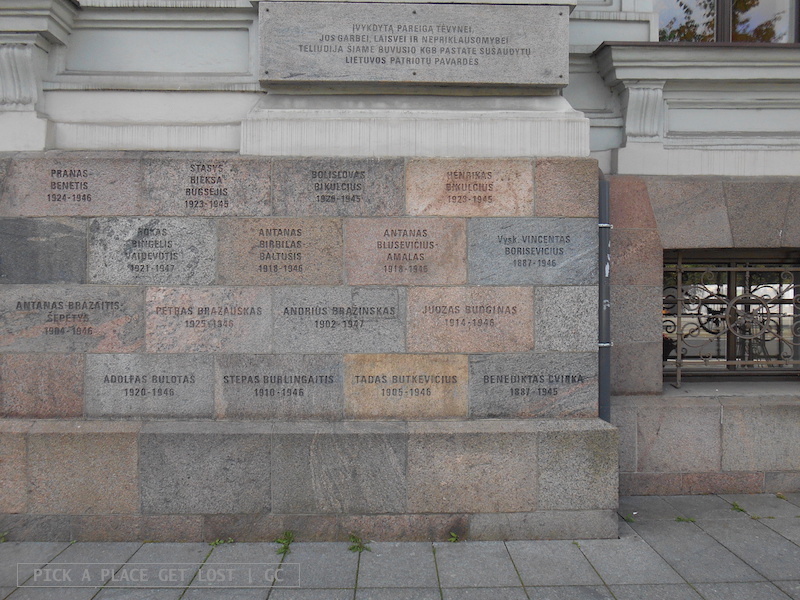 This entry was posted in Lithuania 2016 and tagged europos parkas, lithuania, lithuania 2016, vilnius by Giorgia. Bookmark the permalink.